A Great Tasting Range of Organic & Gluten Free Foods! Organic & Gluten Free Foods! Forever health foods was started up by the Kenna family in August 2010. A family member who was diagnosed as Coeliac, found the choice of gluten free products was very limited. Initially we were selling to small shops and café’s locally from the back of a Van. we were delivering nationwide to stores such as Supervalu, Centra, Aldi, Eurospar, Londis etc. 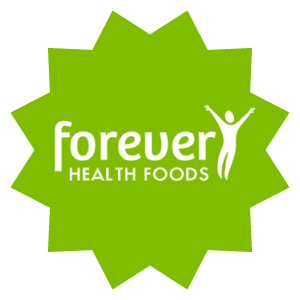 In 2013, we introduced our own brand Forever Health foods. We started with 3 core products; Corn, Spelt and Rice cakes and within two years we now supply 8 Forever Health foods products with lots more delicious, health products in the pipeline. We currently have 2 generations of family working and helping to make the business grow. From the early days of the van in 2010 to today, we have always strived to create the best quality product on the market. Thank you for reading our story and we really hope you enjoy our products. Watch out for our great new products coming soon and check out the shop for our full product range. We did some research and found a niche for wholesome, tasty, good foods for people with dietary issues. Spelt is a healthier alternative to wheat products and is not fried.There are 23 kcal per cake and other than the natural gluten; there are no other allergens present in this product.